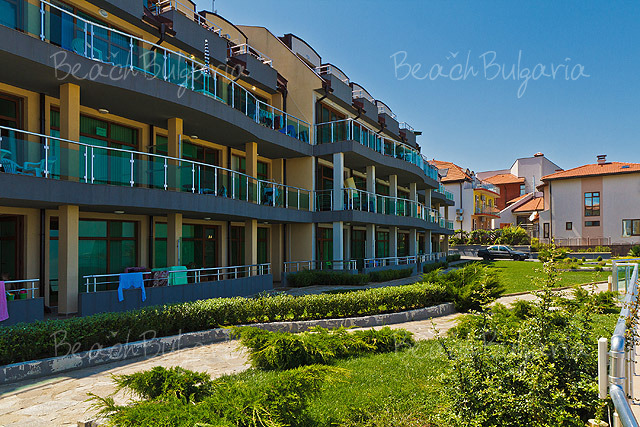 Obzor offers various options for accommodation on the Bulgarian Black sea coast. 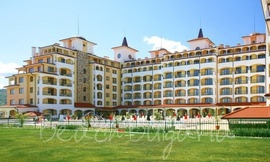 The resort offers large, luxurious hotels as well as small family hotels. The hotels in Obzor offer accommodation on bed & breakfast basis or on all inclusive basis. Check out some of the recommended hotels available for online bookings: Casablanca Hotel, RIU hotels, Obzor Beach Resort, Sol Luna Bay Resort Hotel, Sunrise All Suite Resort,The Cliff Beach & Spa Hotel, Chorbadji Petkovi Hanove, Gallery Complex. Contact us for more information about the accommodation and special rates. Obzor Beach Resort is situated on the first line of the sandy beach with a total length of 800 m and width of 60 m in Obzor Black sea resort. The hotel complex offers 524 stylishly furnished suites, most of them with stunning sea view. 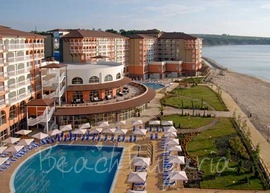 The Cliff Beach & Spa Hotel is located on the cliffs overlooking the sea on the South Beach of Obzor Black Sea resort, about 70 km south of Varna and 60 km north of Burgas. 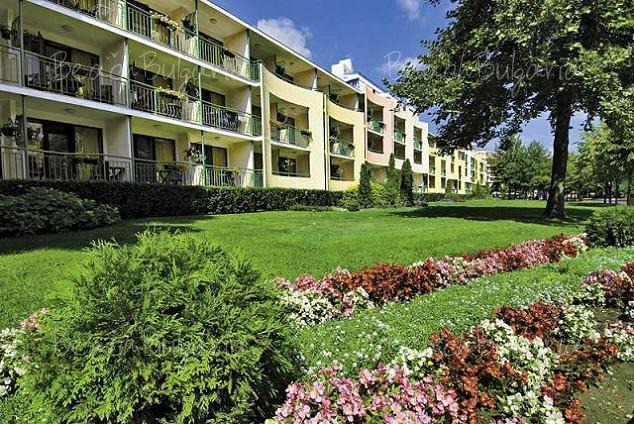 Gallery holiday complex is situated 500 m away from the sea coast in the town of Obzor. 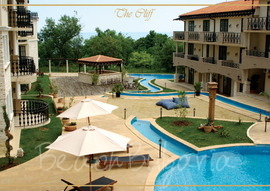 The complex is surrounded by green trees and offers a wonderful view to the Black Sea coast. The hotel offers transport to the beach. Favourite hotel is located nearby Obzor bus station, 400 metres from the beach and 200 metres from the centre of the resort. 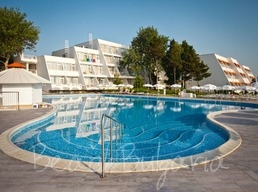 Anixi hotel is located 170 m from the beach of Obzor resort. Obzor is situated on a bay and on the road connecting the Southern and the Northern Black sea coasts, 65 km from Varna and 6 km from Byala resort.